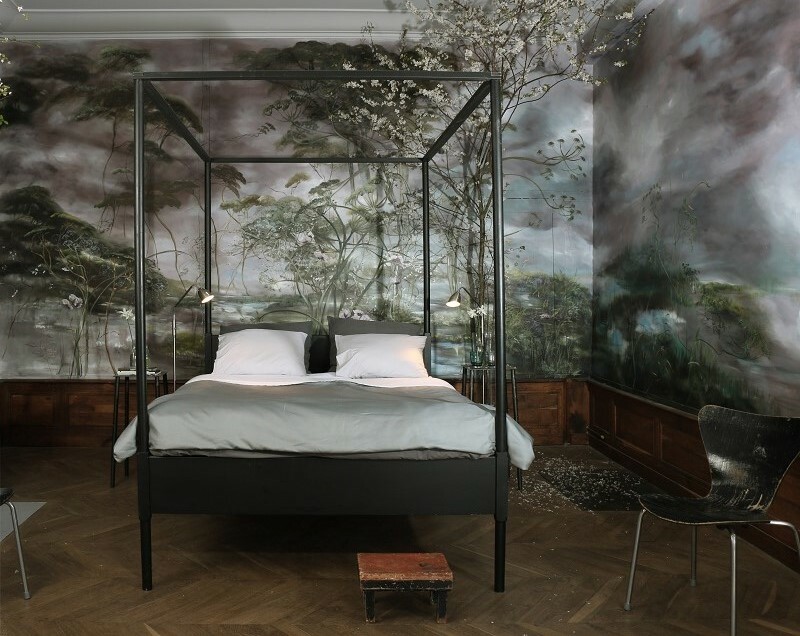 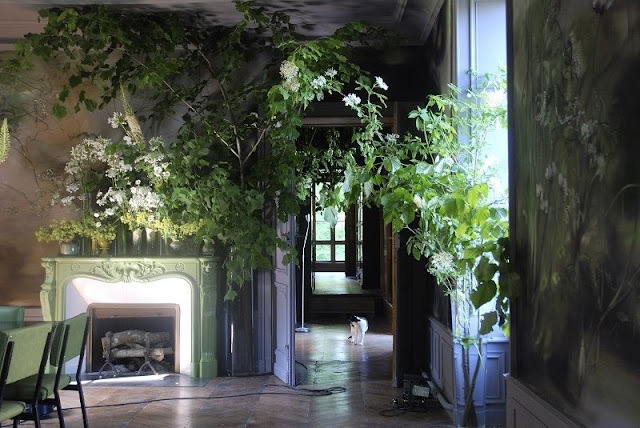 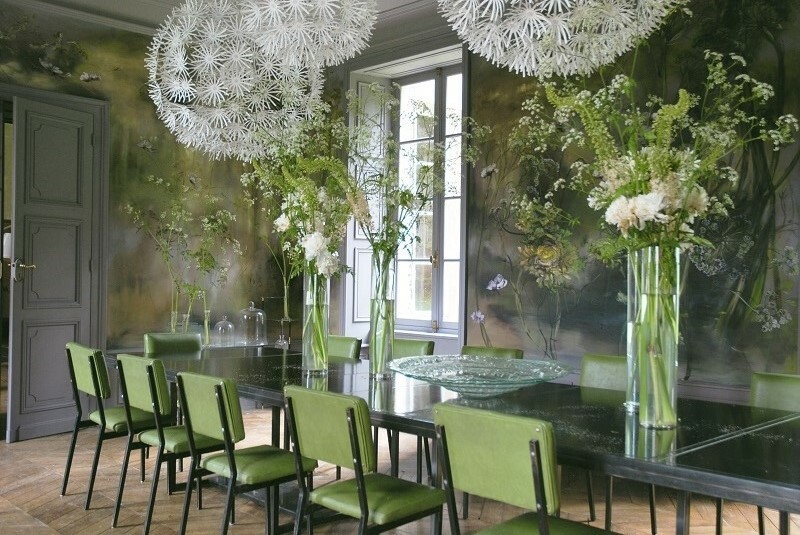 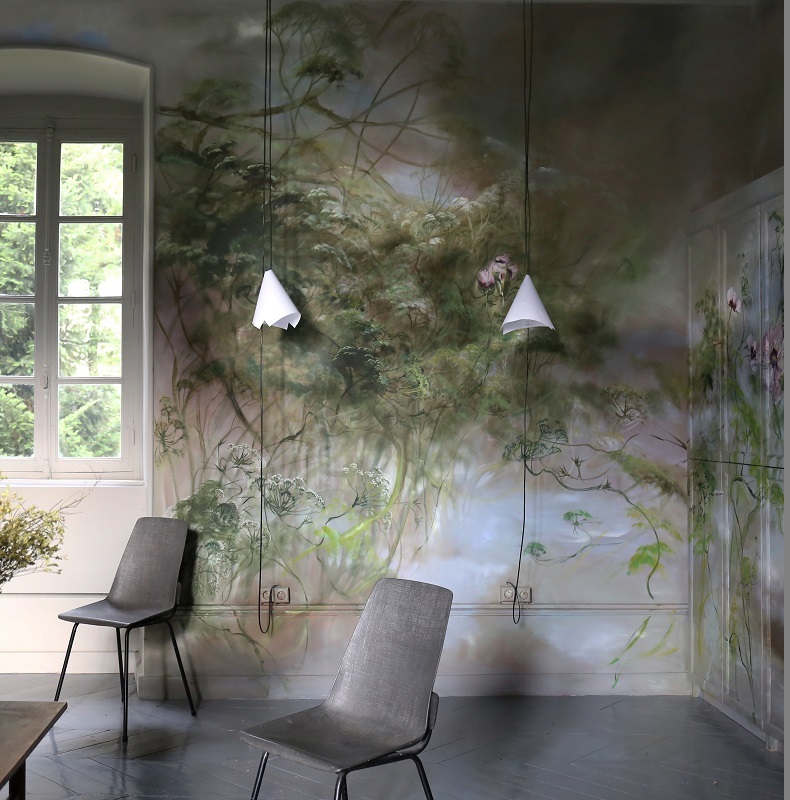 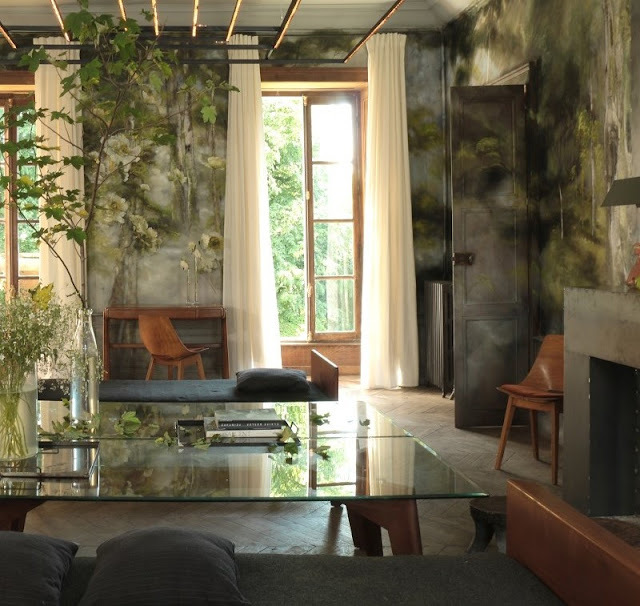 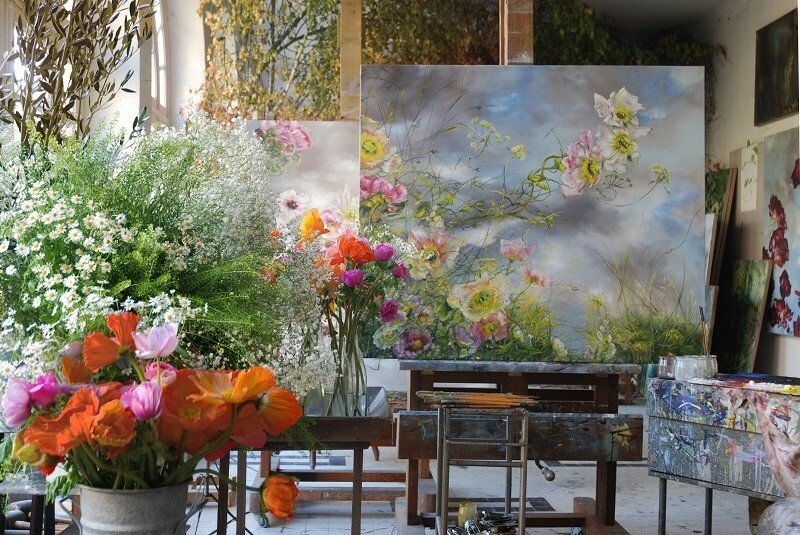 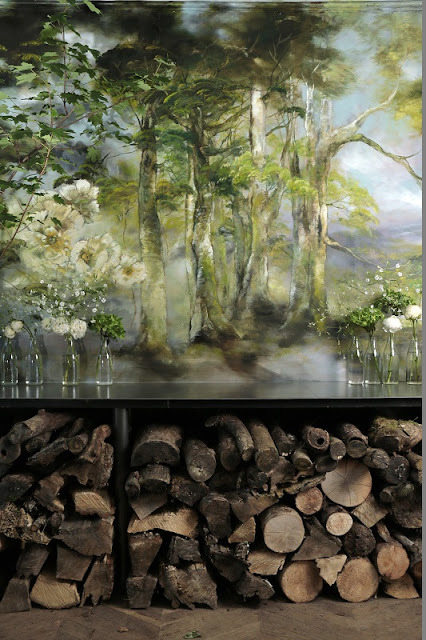 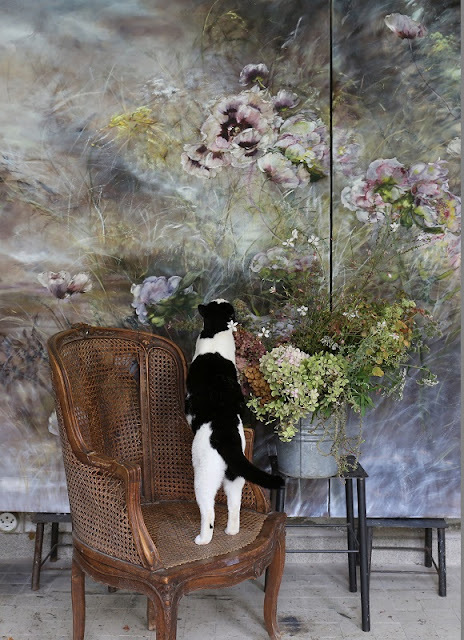 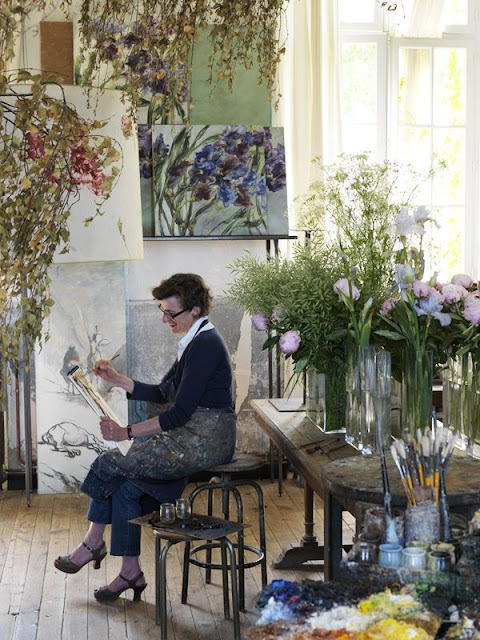 Claire Basler is an artist working in central France who is known for painting dreamy depictions of the flowers and trees from her gardens — and these are no ordinary gardens. 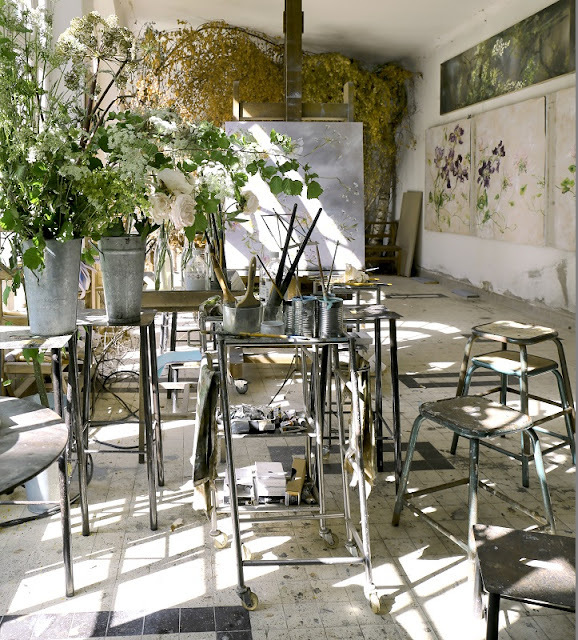 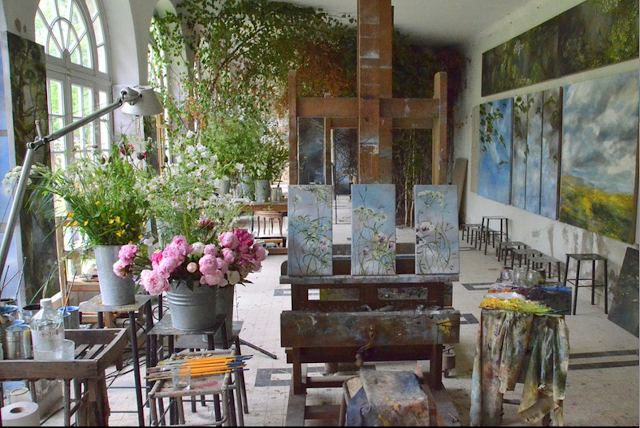 Basler works from a studio on the grounds of the magnificent château where she lives, which she calls Château de Beauvoir. 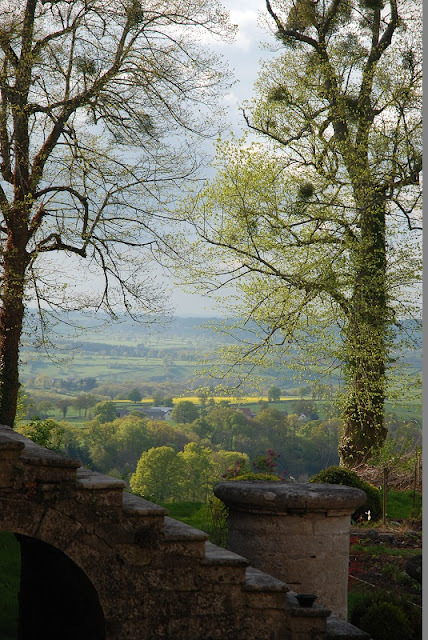 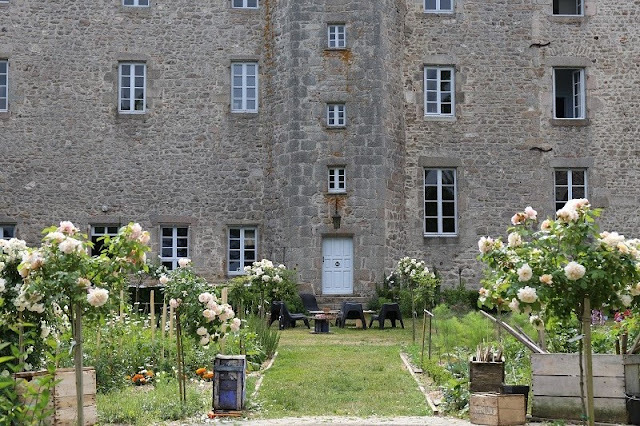 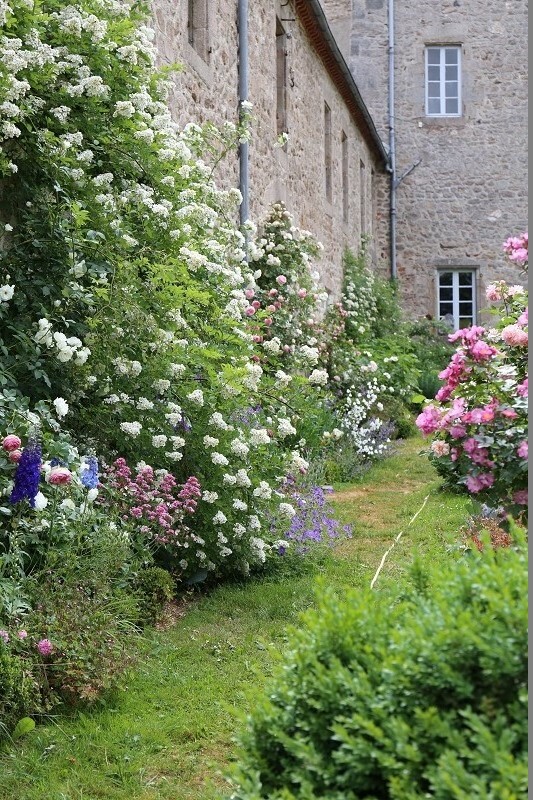 Never mind that there is another famous château by the same name in France — fans of her work are often trekking to the wrong château in hopes of a glimpse her gardens, or Claire herself. She's gaining a following in Texas — last summer, Basler brought her floral canvases to Houston for a show at the Houston Design Center, and I was told sold most of her inventory at the show and is painting furiously to catch up. 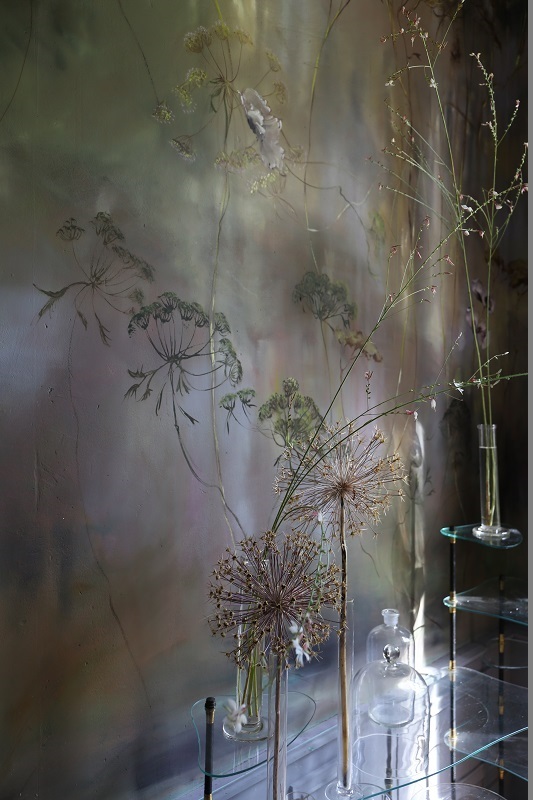 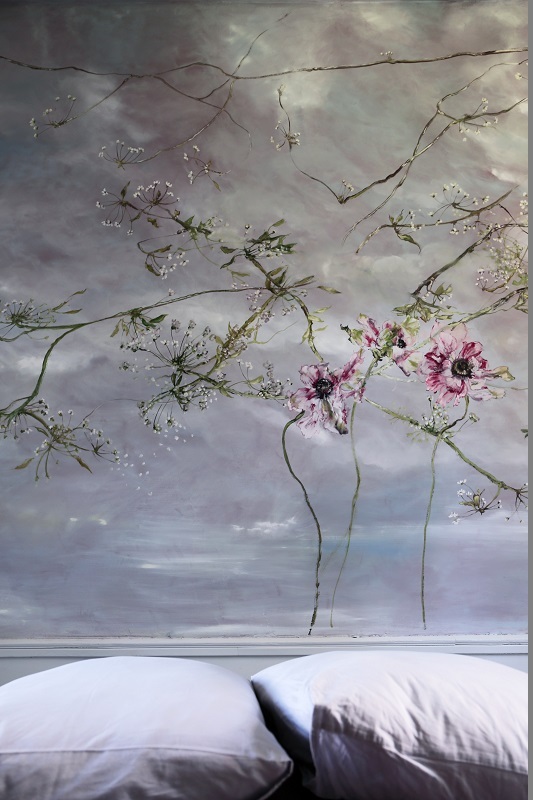 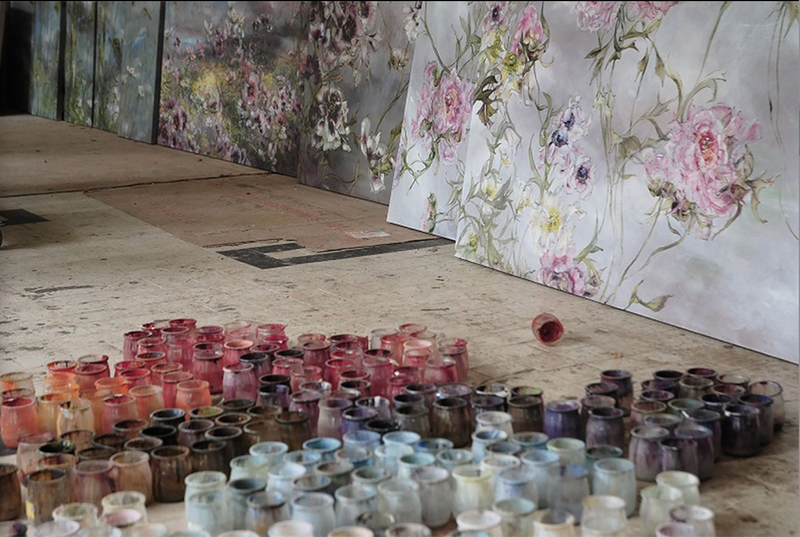 She also has a backlog of special commissions, and earlier this year, published a book of her work, Claire Basler: Peintures, which has been translated into English. 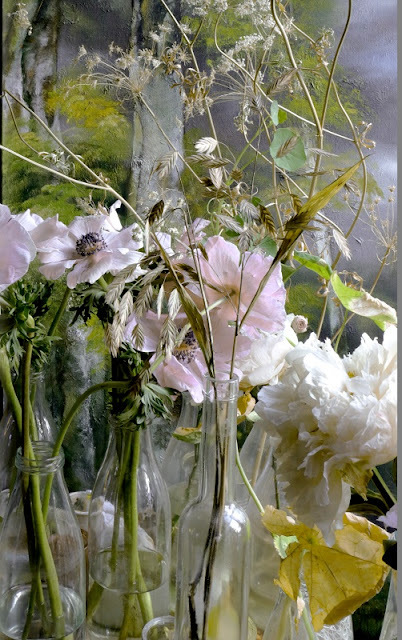 Her lavishly painted works depict unruly roses, peonies, will dill, parsley, and other flora flourishing in her gardens and the surrounding bois, or woods. 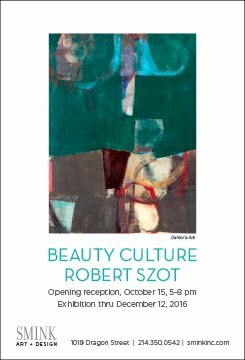 It's one thing to see these lovely works on canvas, and quite another to see how she's covered the walls of her château with her paintings. It's like stepping into a dream. 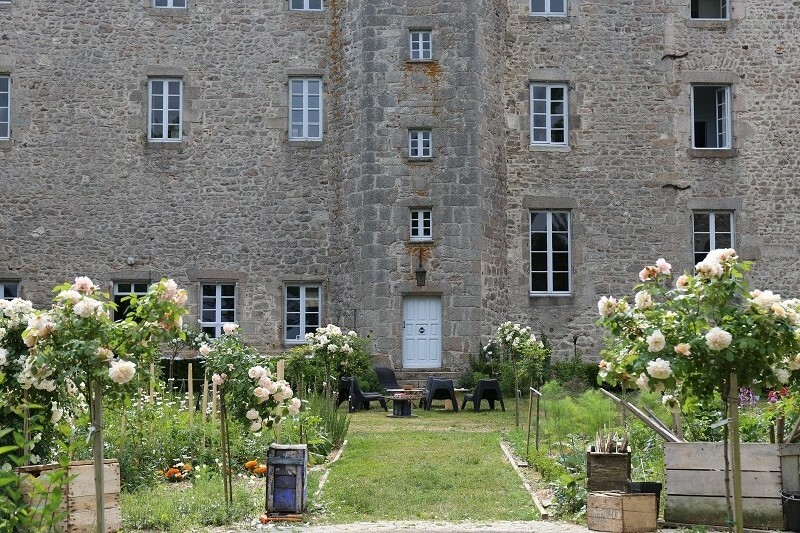 Basler occasionally opens her château for visits, and I was lucky enough to get an invitation earlier this month. 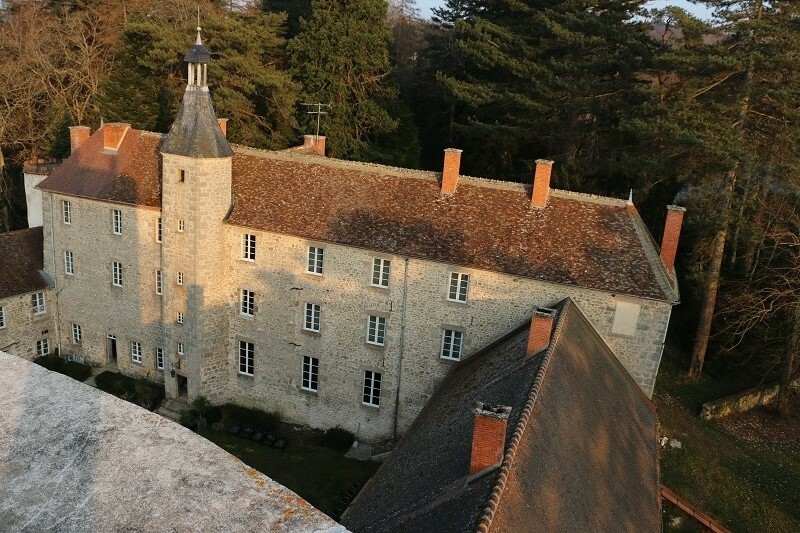 The château is located about three hours south of Paris, halfway between the village of Échassières and Le Lieu-Dit La Bosse. Often referred to as a castle, the 15th-century Château de Beauvoir is situated on the edge of the forest of Collettes with 200-year-old oak and beech groves, said to be some of the oldest and most beautiful in France. 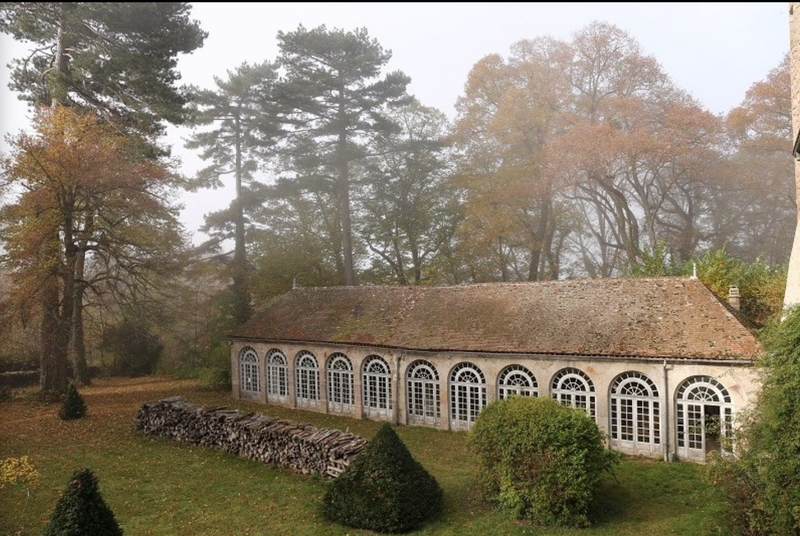 The château is surrounded by Scots pine and Douglas fir, planted during the Middle Ages for logging. 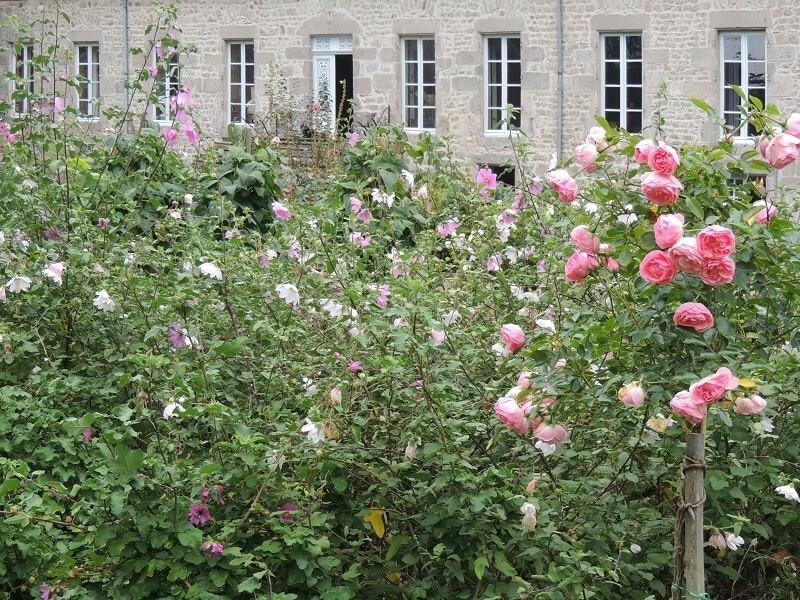 The formal French boxwood gardens feel more unruly than most, with their lush vines, roses, delphinium, and a slew of other pinks, whites, and purples. 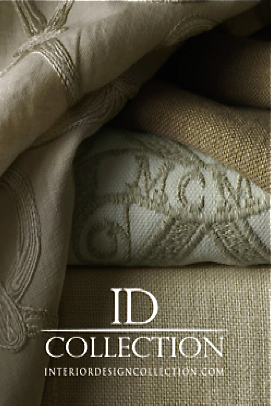 It's easy to see where Basler's inspiration comes from. 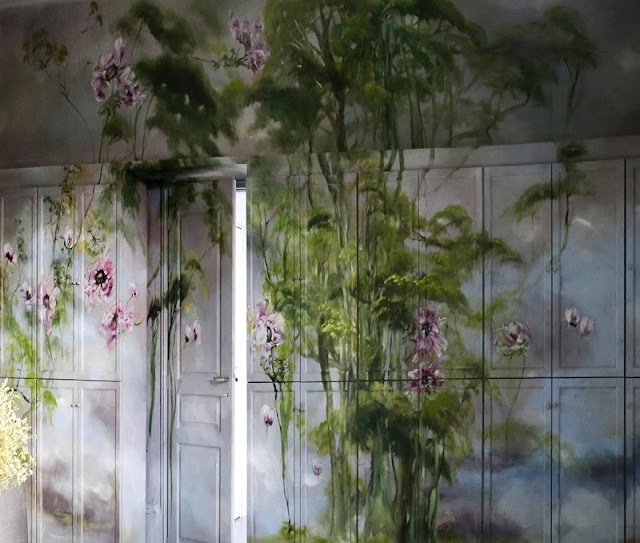 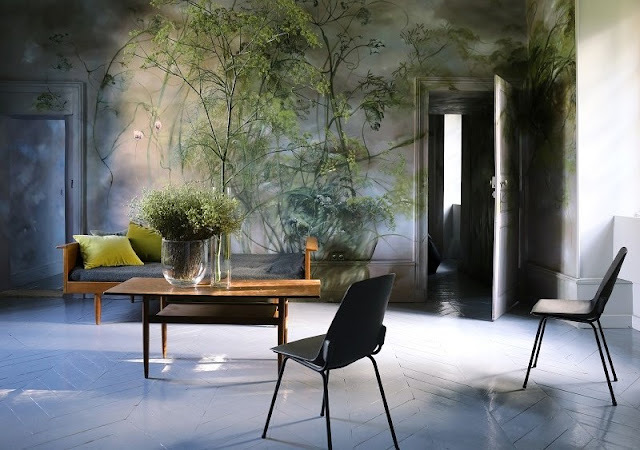 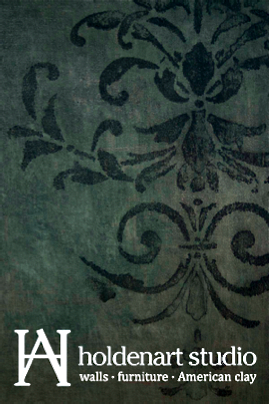 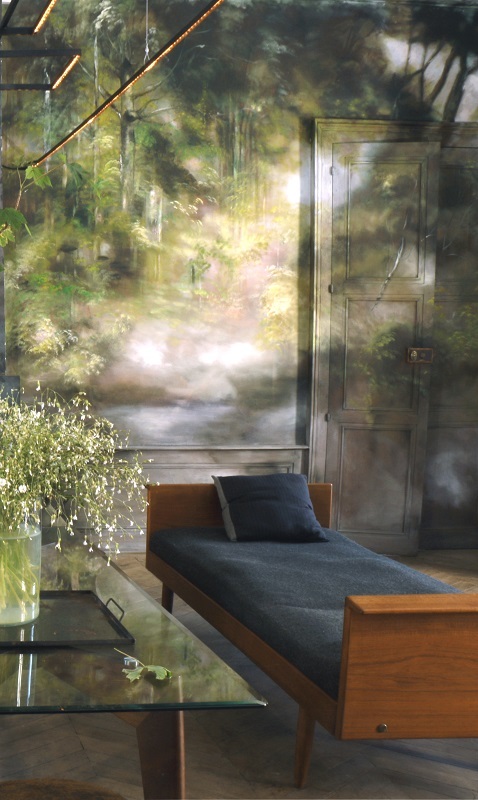 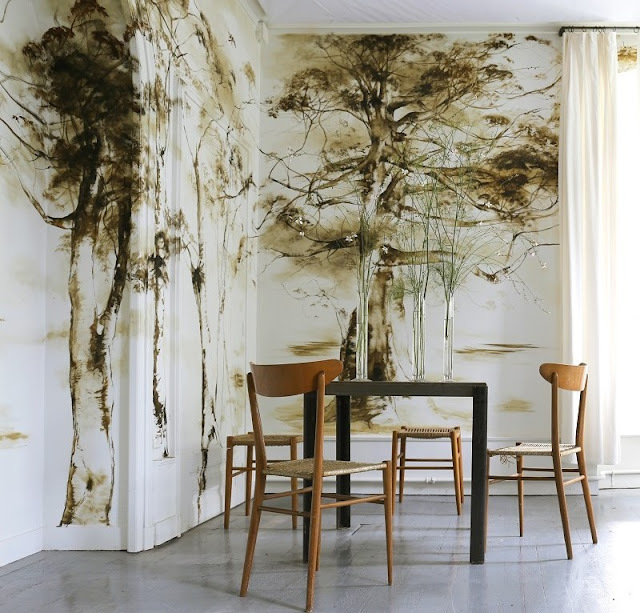 She translates mist-shrouded forests, moss-covered tree trunks, and wild flowers onto her walls with abandon, her sun-and-shadow-dappled rooms becoming a life-size canvas. 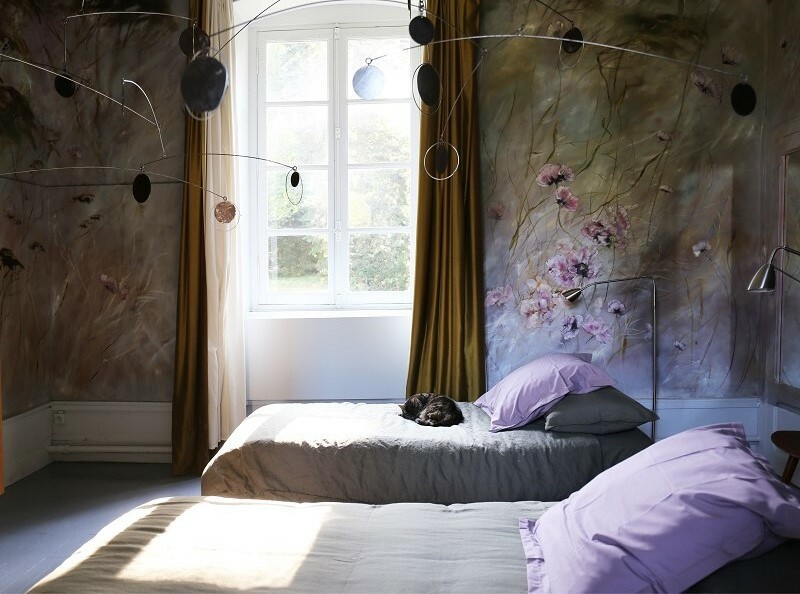 Each scene is beautifully composed with contemporary, mid-century inspired furniture and lighting. It's all very dream-like, but you can imagine living there, too. 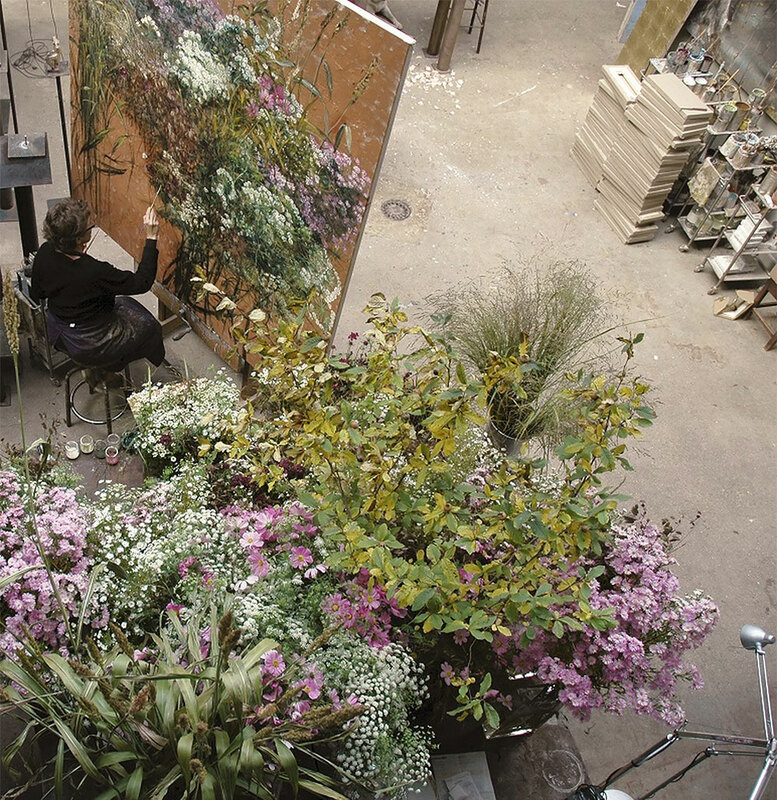 I'm grateful she shares this beautiful piece of property, and her talents with others.